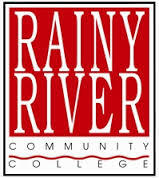 Rainy River Community College was founded in 1967 by a group of dedicated individuals who wanted post-secondary education offered in International Falls at the heart of Minnesota's north woods.At Rainy River we foster learning by surrounding our students with an environment rich in natural wonder. The eighty-acre campus has an eight building complex connected with heated walkways enclosing a courtyard. The grounds feature a softball field, a lighted cross country skiing and hiking trail, and three ponds edged by decks and walkways. The adjacent residence hall offers furnished apartment style accommodations for students.The atmosphere within the college is as inviting as the setting. The faculty and staff get to know and care for students on a first-name basis, and provide them with a quality education.Rainy River's Associate in Arts Degree (AA) follows the Minnesota Transfer Curriculum (MnTC) and prepares students for transfer by completing the liberal arts general education requirements for a Bachelor's Degree. RRCC guarantees that the AA Degree will transfer to any Minnesota State College or University.Career and technical programs include Certified Nursing Assistant/Home Health Aide, Fitness Specialist, Indigenous Studies, and Industrial Technology, as well as a partnership with Itasca Community College to deliver their Practical Nursing diploma program to the International Falls area.